While Facebook shuts down free expression and voices of reasoned concern about the Islamization of Western countries, it has been accused of sloppily and “inadvertently” helping thousands of jihadists “connect and recruit new members” through its suggested friends feature. Over the last several weeks the group [Generation Identity] has seen page after page disappear from the social media giant’s platform with little or no explanation. 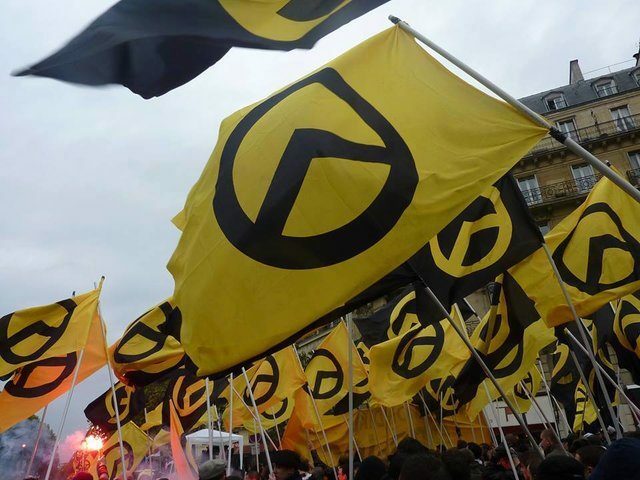 The French wing of the movement put out a press release when censorship of their pages began earlier this year, saying: “By depriving Generation Identitaire of any representation on its platform, Facebook tries to gag a political movement that has accumulated hundreds of thousands of subscribers throughout Europe.”…. So, by enacting a policy against extremist content and organised hate groups (like islam) one gets banned from FASCBOOK (or maybe now that it’s gone whole hog, FECEBUKKAKE) for being the one who started it? In other words, by giving a warning of a threat, one is now blamed for BEING that threat? Typically backwards victim-blaming hypocritical leftopathy!